The Maserati Quattroporte is one of the world’s most lusted-after cars and with its good looks, performance engine, and easy handling, it’s not hard to see why. It’s also an incredibly customer friendly car, kitted out with just about every single luxury you can think of, making this the ultimate in a head turning chauffeur driven car. If you’ve ever wanted to take a limo that performs like a sports car, this is your vehicle! The hugely spacious, limo like interior offers ample space for up to four passengers, their luggage and even customizable add-ons (please contact us for more information). The Maserati Quattroporte offers a head-turning transfer to and from Sydney airport, guaranteeing that you’ll be the centre of attention as people crane their necks to see who you are. For weddings and other special occasions, the glitzy glamour of the Maserati Quattroporte offers an entrance quite unlike any other, designed to make passengers feel like a part of the elite. Our discreet chauffeurs will take you where you need to go, while their expert local knowledge and driving ensures that you get to experience the Maserati Quattroporte in its full glory. Spotless both inside and out and maintained on a regular basis, this is the car to be seen in. 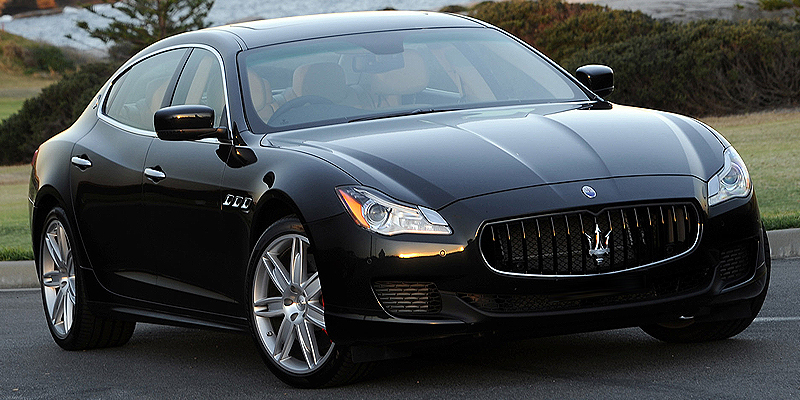 The Maserati Quattroporte is sleek, fast and luxurious—the perfect chauffeur driven ride that’s safe, fun and head-turning. It’s good-looking exterior continues to a luxurious interior. The Quattroporte is a luxury car with all the trimmings, ensuring that no matter how long your journey, you’ll be comfortable thanks to its state-of-the-art climate control system, exquisite seats and finely-tuned suspension. 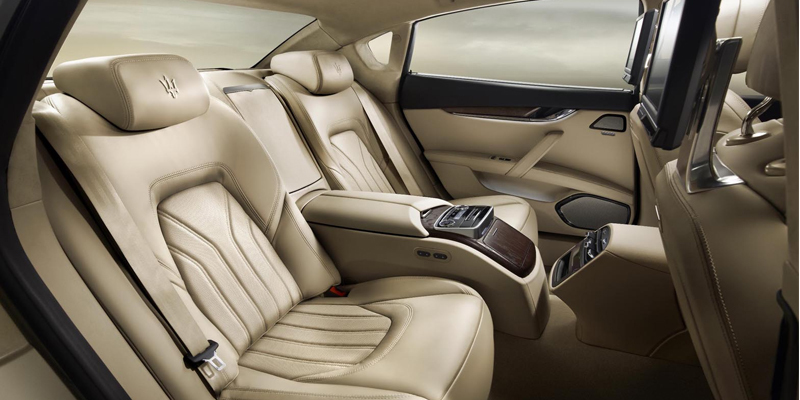 The Maserati Quattroporte is well-equipped with plenty of add-ons and extras to ensure that your journey is as memorable as it is comfortable and the chauffeur’s just the beginning! Maserati’s in-car entertainment is sophisticated as it is refined, offering just the right amount of luxury you’d expect from a prestige marque. 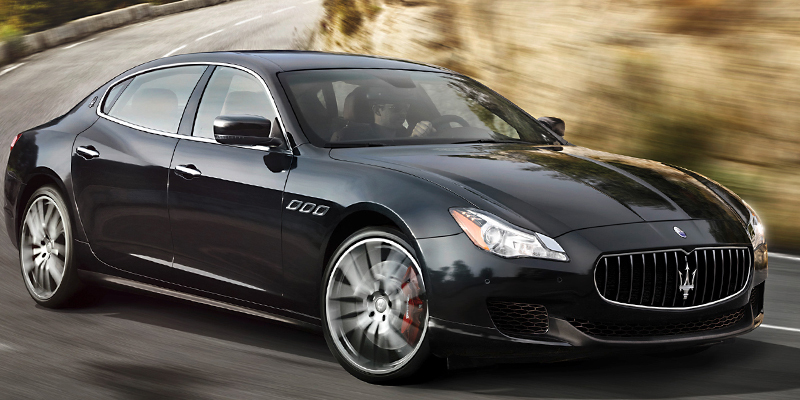 Book our Maserati Quattroporte today in order to avoid disappointment with our most exclusive and popular hire car whether for your special occasion or a glamorous airport transfer, we can help you. Call us on 1300-589-227 today or click below for an instant quote.